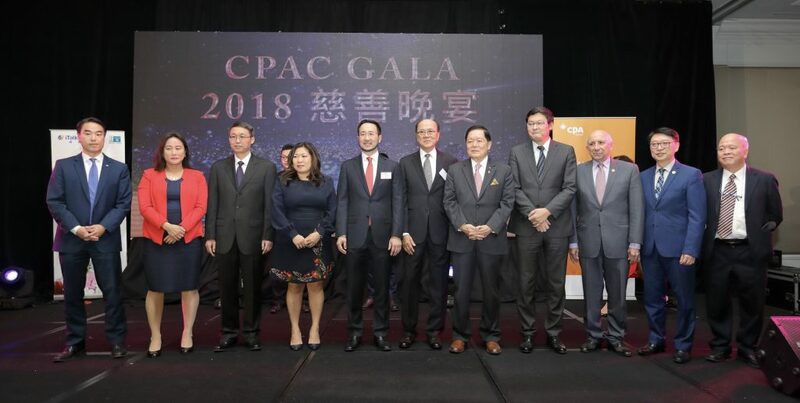 December 3rd, TORONTO – CPAC and CPAC Foundation co-hosted the 2018 CPAC Gala last night at the Sheraton Parkway Toronto North Hotel & Suites to raise funds to support their immigrant employment services and celebrate the accomplishments of outstanding immigrant professionals and youth. 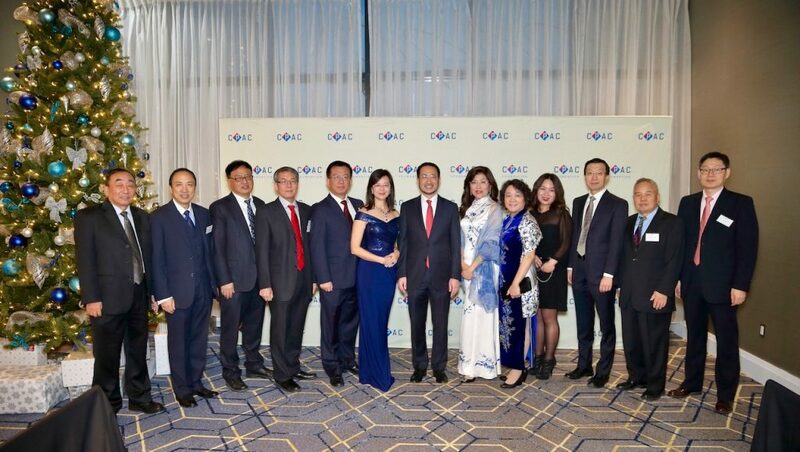 About 500 guests including community leaders, prolific businesses, political leaders, and CPAC supporters attended the event, including Mary Ng, Minster of Small Business and Export Promotion, MPs Geng Tan and Jean Yip, Senator Victor Oh, Consul General Han Tao of Consulate General of PRC in Toronto, MPPs Aris Babikian, Billy Pang, and Daisy Wai. The highlight of the gala was the presentations of the Professional Achievement Awards, which recognize the accomplishments of outstanding immigrant individuals who have overcome various barriers and made incredible strides in their professional careers. 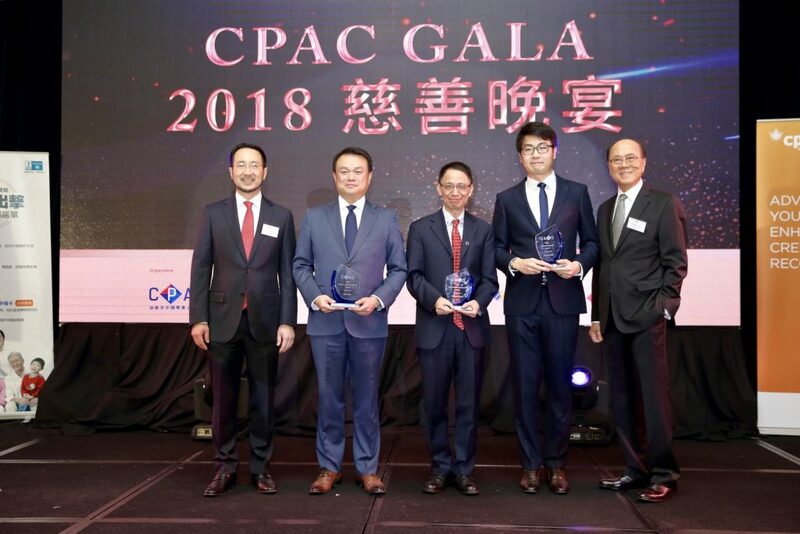 The two recipients of the 2018 CPAC Professional Achievement Awards were Mr. Alex Fan, Vice President of Retail Asian Banking at CIBC, Canadian Imperial Bank of Commerce and Professor Jianhong Wu, international leader of applied mathematics with a stellar research record and Director of the Laboratory for Industrial and Applied Mathematics at York university. 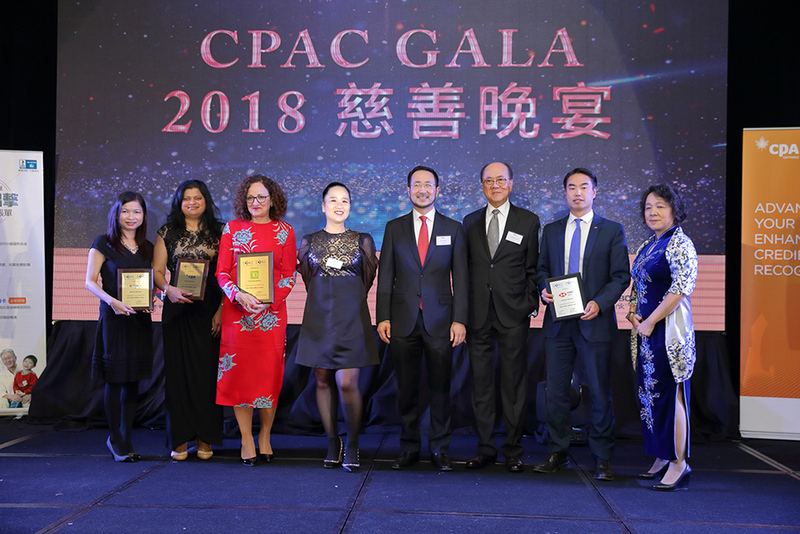 Another highlight was the presentation of the 3rd annual CPAC Young Achiever’s Award, which is modeled after the established PAA and honours an outstanding young immigrant in Canada for their community or professional achievements and success locally or abroad. The recipient of this award this year was Harvey Shi, a Ph. D. student at the University of Toronto, the founder and CEO of FlexCap Energy, a cutting-edge flexible energy storage device developer. Alex Fan is a respected community leader as well as a successful business executive. He is currently Vice President of Retail Asian Banking for CIBC, Canadian Imperial Bank of Commerce, overseeing multiple teams in Toronto, Vancouver and Asia. His outstanding achievements in growing the business franchise, developing Human Capital and deepening client relationships have earned him numerous awards, including the Chairman’s Awards and 11 times CIBC Annual Achievers Awards. His in-depth experience and knowledge of both the Asian and Canadian markets has won him the distinction of the only advisor who has served both the Liberal and NDP Premiers of British Columbia on Asian community affairs. As an established immigrant, Mr. Fan has been welcoming, mentoring and guiding newcomers to Canada for decades, helping them integrate into Canadian society and achieve success. Because of his contribution as a mentor to newcomers, he is featured on the federal government website, Building Futures in Canada, as one of the role models for immigrants. Mr. Fan has also served as President of the Taiwan Chamber of Commerce in British Columbia, Vice Chairman of the Taiwan Chambers of Commerce of North America, Chair of the Banks Division of the BC Children’s Hospital Foundation and Board Member of the SUCCESS Foundation. He was awarded the Queen Elizabeth II Diamond Jubilee Medal in 2013 for his considerable community contribution. Dr. Jianhong Wu is an international leader of applied mathematics. He is the founding Director of the Laboratory for Industrial and Applied Mathematics at York University, a long-time senior Canada Research Chair in Industrial and Applied Mathematics, and the NSERC/Sanofi Industrial Research Chair in Vaccine Mathematics, Modelling and Manufacturing. His numerous scientific leadership positions also include founding Director of the renowned Center for Disease Modelling, founding director of the Fields-CQAM Mathematics for Public Health Lab, founding Scientific Director of Ontario’s Advanced Disaster, Emergency and Rapid Response Simulation. Professor Wu’s contribution in fundamental research and applications of mathematics is extraordinary. He has over 400 publications, eight monographs and numerous consultation reports that have influenced public health policies in Canada and abroad. He pioneered the description of the Krisztin-Walther-Wu spindle attractor, co-invented a machine learning algorithm for big data clustering and pattern recognition, and is the global leader in the area of diseases/models/epidemics. He has delivered numerous keynote and distinguished lectures and received fellowships and visiting professorships from many institutions around the world. Harvey Shi is a Ph. D. student at the University of Toronto. While pursuing his engineering studies, Harvey has founded a series of start-ups and NGOs, including his latest tech company, FlexCap Energy Ltd., which has successfully raised seed-round funding and won several prizes in start-up competitions. FlexCap Energy develops and manufactures flexible, thin-film battery solutions. Its cutting-edge technology for flexible batteries is a game changer that accelerates the manufacturability of safe and flexible, Wearable Electronics, Smart Textiles, Internet of Things Sensors, and many other new products, in addition to ease of integration to existing systems. Harvey has also stepped up to build novel fabrication technologies for building nano-scale architectures which can increase the charge storage capabilities further for future designs. Harvey is also a strong and active member of the Ontario Society for Professional Engineers’ (OSPE) Research & Innovation Task Force, where he is well regarded for not only his capabilities, but also his integrity, humility, responsiveness and level of responsibility. Harvey has demonstrated an impressive ability to problem solve in business operation as well as technical research. He is truly an outstanding young achiever in both the technological innovation and entrepreneurship categories. From left: David Kuo, Head of Branch Network-Ontario, HSBC Bank Canada & Honorary Advisor of CPAC Foundation, Jean Yip, Member of Parliament for Scarborough Agincourt, Han Tao, Consul General of the People’s Republic of China in Toronto, Hon. Mary Ng, Member of Parliament for Markham-Thornhill & Minster of Small Business and Export Promotion, Eric Xiao, CPAC President, Richard Lim, CPAC Foundation President, Victor Oh, Senator, Geng Tan, Member of Parliament for Don Valley North, Aris Babikian, Member of Provincial Parliament for Scarborough-Agincourt, Billy Pang, Member of Provincial Parliament for Markham-Unionville, Joe Ng, Chair of the JNE Group of Companies & CPAC Foundation Patron. 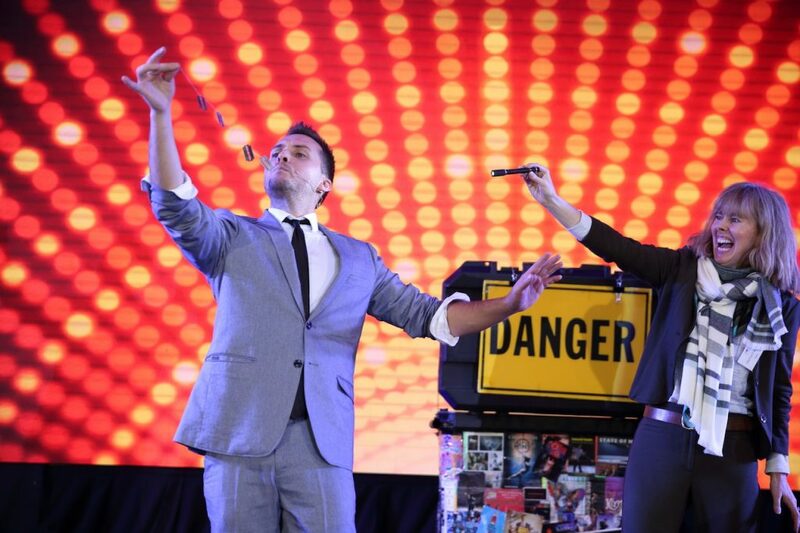 【2018 CPAC Gala 05】The wonderful performance won the audience’s applause.